Ewanick was fired from GM in July over the handling of a controversial sponsorship deal with English soccer club Manchester United. 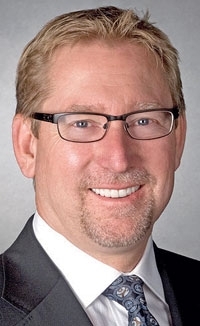 LOS ANGELES -- Fisker Automotive has hired ousted General Motors' global marketing boss Joel Ewanick to be interim chief of global sales and marketing for the maker of luxury plug-in hybrids. Ewanick has been working with Fisker as a marketing consultant for at least six weeks and will fill Beattie's role until a full-time replacement is named, Ormisher said. Beattie -- formerly of Ford, Mazda and Jaguar -- was hired by Fisker as its chief commercial officer last December. "We would like to thank Richard for his valuable contribution in helping to grow the Fisker brand and sales in global markets over the past 12 months, and wish him well in his retirement," Fisker CEO Tony Posawatz said in a statement issued to Automotive News. "As we seek to appoint a long-term successor, there is no one better than Joel, with his wealth of motor industry experience and knowledge to guide us through this interim period. I am delighted to welcome him to the Fisker team." Ormisher declined to comment when asked if Ewanick would be a candidate to become Beattie's full-time replacement. Ewanick was fired from GM in July over the handling of a controversial sponsorship deal with English soccer club Manchester United. Since the split, Ewanick has done consulting work with a number of companies in the automotive industry, including TrueCar.com, according to a source with knowledge of Ewanick's activities. In joining Fisker, Ewanick will be reunited with Posawatz, the former Chevrolet Volt chief engineer who left GM in July and then became Fisker's CEO in August. The relationship between the two was a major factor in Ewanick's decision to become involved with Fisker, according to the source. Posawatz replaced Tom LaSorda, a former Chrysler CEO, as Fisker's chief executive. LaSorda held the job for less than six months. That move followed Fisker's July hiring of Jim Yost, a former Ford Motor Co. and Dana Holdings Corp. executive as CFO. Meanwhile, Fisker is battling reliability and quality issues with its first plug-in hybrid sedan, the Karma, while racing to complete development work on its second vehicle, the Atlantic. Fisker announced earlier this month that it planned to open a new technical center in the Midwest -- possibly in Michigan -- by next spring to accelerate work on the Atlantic. In September, Fisker said it had raised more than $100 million in new equity financing to fund ongoing operations and work on the Atlantic. GM hired Ewanick as U.S. marketing chief in May of 2010. By the end of that year, he was put in charge of global marketing, then a new position. Ewanick joined GM from Nissan North America, where he worked for six weeks. He had previously been part of a team of Hyundai Motor America executives credited with boosting sales and polishing the South Korean automaker's U.S. image.